Laerdal's Suction Unit with Semi-Disposable Canister is a powerful, durable machine that can be used to clear your patients' airways. 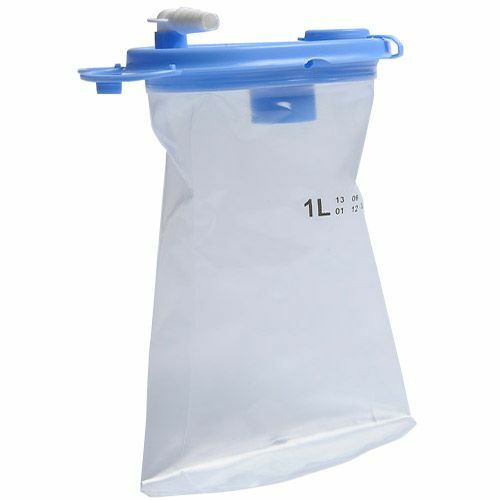 With its Semi-Disposable Canister design, the unit uses disposable liners that help you avoid contact with contaminates. 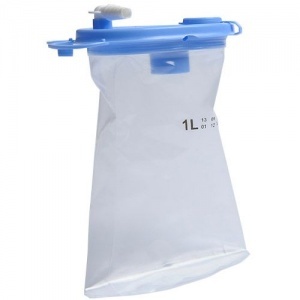 The Laerdal Suction Unit LSU Serres Blue Liners (Pack of 36) are ideal if you're close to running out of the suction bags. Please note that it is recommended you replace the canister when it's 3/4 full. When liquid reaches the top of the canister, the LSU will not suction any more liquid. If the liquid from the canister gets into the pump, the LSU must be returned for servicing. Disconnect the vacuum connector tubing at the yellow T-bar on the canister connector. Release the canister holder and press down the release arm while sliding the holder towards you. Remove the canister from the holder. Unwrap/release the patient suction tubing (if applicable). Safely dispose of the liner according to local protocols. With its portable, powerful design, Laerdal's Suction Unit sets the standard and is used all over the world by countless providers. The unit is fully prepared for emergency situations and is effective at improving patient safety. With its quiet running and shock and splash design, the unit is an excellent option in nearly all settings. The Laerdal Suction Unit LSU Serres Blue Liners (Pack of 36) will be subject to a delivery time of 3 - 4 working days after the point of order. For more information, contact our Customer Care Team at 020 7501 0593.